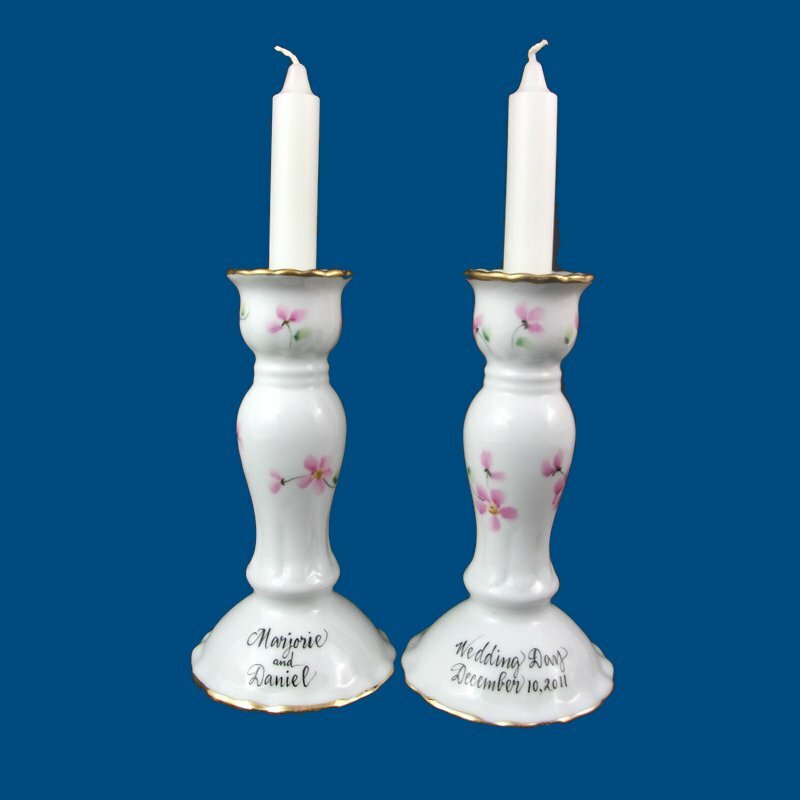 Our beautiful scalloped white porcelain candlesticks are trimmed in 18 karat gold and are the perfect bridal shower, wedding, or special anniversary gift.� Bev hand paints�a beautiful floral designs along with the bride and groom names and wedding date.� The bottom of the candlesticks can be personalized with a short message such as, "Wishing you a lifetime of happiness together. Love, Sue and Don." A gift box with tulle ribbon and enclosure card is complimentary with your purchase.